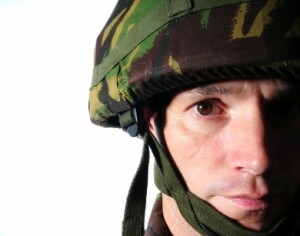 The type of traumatic brain injury military personnel can suffer often leads them to look for help and support. TryMunity is a nonprofit organization dedicated to helping people who have suffered traumatic brain injuries. If you have suffered a traumatic brain injury such as a concussion, you may find yourself experiencing strange symptoms that can persist long after you have been released from medical care and returned to your normal life. Here are some issues that can accompany a traumatic brain injury military experienced by personnel after coming home. After a brain injury, you may find yourself getting angry or combative for seemingly no reason. Even people who were calm and gentle before their injury sometimes experience rage and anger related to the brain injury. Brain injuries can also lead to disruption of your sleep cycle. You may have persistent insomnia or difficulty falling asleep. Conversely, you may fall asleep normally but then have trouble waking in the morning, even if you have slept well. Headaches are a common side effect of traumatic brain injuries, and they can persist long after the actual injury to the brain has healed. Sometimes people do not connect their headaches with their injury because the headaches occur in a different part of the head. Traumatic brain injuries can affect the eyes and the vision centers of the brain. Problems can be physical, such as pupils that have difficulty contracting or dilating. They can also be in the brain itself, in the form of visual hallucinations or black spots in the field of vision. A period of forgetfulness is common immediately following the type of traumatic brain injury military personnel typically suffer, but sometimes forgetfulness can persist for months or years. You may find that even simple information like the names of family and friends is sometimes difficult to recall. For help and support while recovering from the type of traumatic brain injury military personnel suffer, join the TryMunity community today. You are always welcome here!